House cleaning prices vary in the Washington metropolitan area and the only way to get a quote is to get a free cleaning estimate from The Maids. However, there are some factors to consider that will help you get a ballpark figure when researching residential cleaning services. How are the Services Charged? Some companies charge by the hour, while some charge per project. Most cleaning services will consider the number of rooms and square footage of your home. However, The Maids considers the condition of your home and level of build-up, so we can price your home the most accurately. Most companies have a standard package that includes a list of the items they clean. If there are specific items you want included that are not standard fare, ask if there is an additional charge to include your special requests. Most standard packages include vacuuming, floor washing, top dusting, and thorough bathroom and kitchen cleaning. You should inquire exactly what items are considered standard. The Maids, for example, offers a 22-Step Healthy Touch® Deep Cleaning System approach to our regular cleanings. What Cleaning Tasks Will Cost You More? If you need more than what is included in the standard package, some cleaning services will charge a bit more if they have spend a great deal more time cleaning. For example, if counters and furniture are extremely cluttered with knick knacks, cosmetics, or other "messes," services will typically factor in more if they have to remove these things, clean the surface, and put the quantity of items back in place. The same principle applies to moving furniture to clean under it. Some will charge extra for ceiling fans, top shelves, and baseboards. Windows are typically an extra charge. Inside of the refrigerator or the oven is an additional cost as well. The Maids first-time and one-time clean pricing includes, entrance way points (molding strips over windows and doors), baseboards, and ceiling fans. Will the Company Provide its Own Cleaning Supplies and Equipment? Are you responsible for providing cleaning supplies, and a vacuum, or are those items included in the price? If the cleaning service provides the products and equipment, are those products name brand, non-toxic, or green? 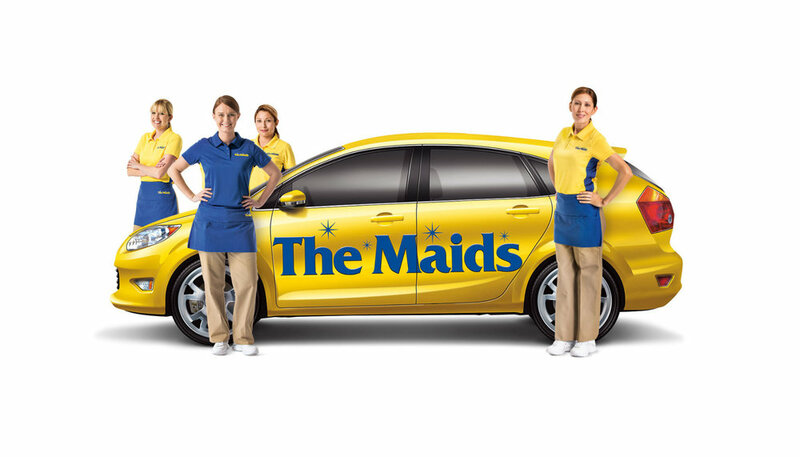 The Maids provides eco-friendly cleaning supplies, and HEPA filtration vacuums with your service. What is the Difference Between Using a Cleaning Service or a Private Individual? One difference between a cleaning service and a private individual is that a service sends a team, to clean your home, and can complete the house in less time than a singular person. The cost to clean your house might appear a bit cheaper when you hire a private individual over a residential cleaning service, but what is the real cost to you? Must you supply equipment or cleaning supplies? Is the private individual insured and bonded? Do they have a reliable backup to clean your home if they are not able to come? The private individual will be responsible for their own state and federal income taxes, but you must pay their Social Security and other employer's taxes if your yearly outlay exceeds a certain amount. The rate that you pay a professional cleaning service includes supplies, insurance, and taxes. Are you ready to hire a professional house cleaning service for your home?